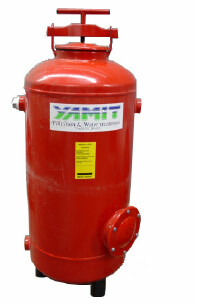 Used as primary filter for water from open dams and recycled water. To remove algae from water. Uses gravel or sand for depth filtration. Double bottom chamber with “mushroom” diffusers for efficient filtration and backwashing. Modular design – suitable for use in arrays for various flow rates.